Welcome to this new meme active every Friday! The theme is "Friday Greens" and you can post images, art, photos where the predominant colour is GREEN! GREEN is the colour between blue and yellow in the spectrum; coloured like grass or emeralds. This magnificent fan palm is growing in the Royal Botanic Gardens of Melbourne, Australia. I have edited the image slightly using Photoshop. I like the structure of the leaves. So beautiful. 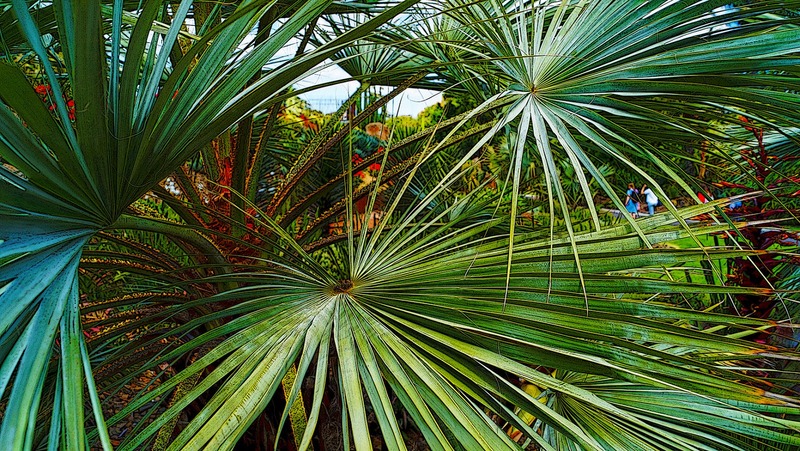 the leaves of the palms are wonderful. I love it. A lot of different greens, very beautiful.